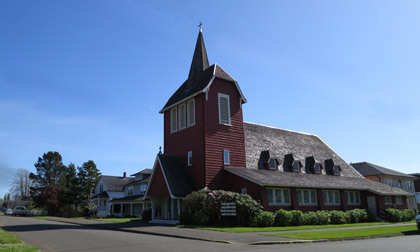 There will be no daily Mass at any of the Grays Harbor Parishes. 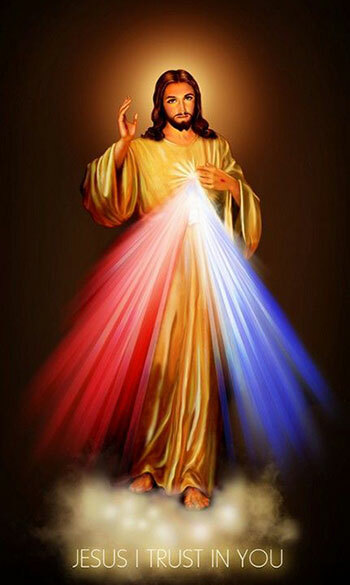 All are invited to participate in the Divine Mercy Sunday Prayer Service on April 28th at St. Mary Church at 3:00 p.m. This is an hour of prayer, scripture, song and silence where we praise God for His mercy and beg His mercy for ourselves, our families, our Church, and for the whole world. Online giving is NOW available for ALL of our parishes! Click the Online Giving icon under "Quick Links" on the ghcatholic.org home page and follow the instructions to register. It’s quick and easy! 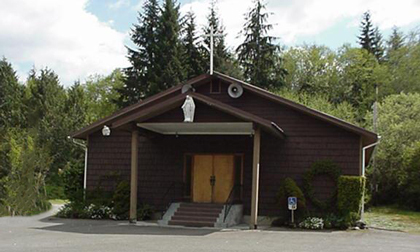 Please contact the regional parish office at 360-532-8300 if you have any questions. During coffee hour on February 17, we will be assisting those who are interested in online-giving and who would like help on the computer. We will have our computers there for you to sign-up right then, or do later at home if you just have questions. "Let us enter God's Presence rejoicing!" St. Mary - Fridays 9:30 - 11:00 a.m.
St. Mary - First Fridays 9:30-5:30 p.m.
Our Lady of Good Help - Saturdays 9:00 a.m. - 12:00 p.m.
St. Jerome - Thursdays 9:30 -10:30 a.m.
Are you interested in learning more about the Catholic Church? Are you a baptized Catholic who has not been Con1irmed? 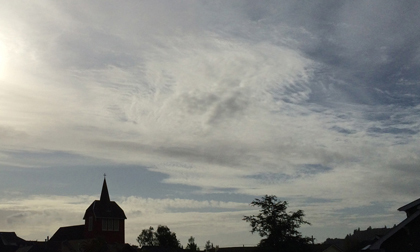 Do you need an update about your faith? RCIA classes might be the answer to all of these questions. Come and see! 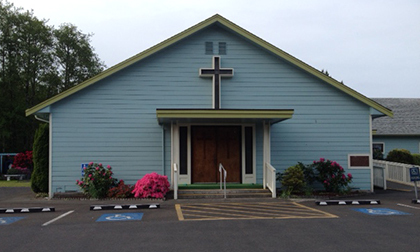 Classes are on Wednesdays, at 7:00 p.m. in the fireside room of the Parish Center. 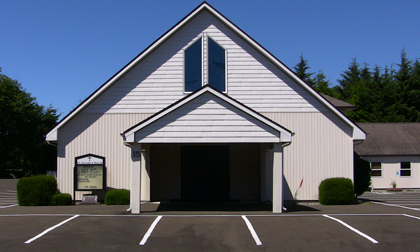 For more information, call Bonnie at 360-532-8300 or 360-533-3162. Northwest Catholic is more than just a magazine. 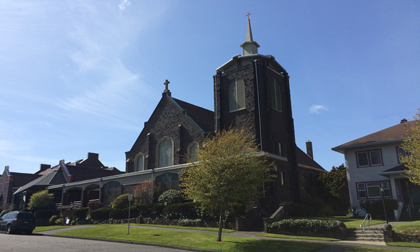 It is the Good News of Jesus Christ delivered 10 times each year to every registered Catholic household in the Archdiocese of Seattle — more than 123,000. 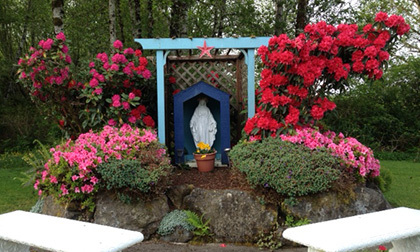 It is also Northwest Catholic online, the only Catholic news source with exclusive coverage of Catholic people and Catholic events in Western Washington. Visit Northwest Catholic website at www.NWCatholic.org. Heart of the Nation produces and televises a weekly Sunday Mass nationwide, providing compassionate spiritual care for Catholics unable to participate in holy Mass at a parish. For the faithful who can’t get to church because of the frailties of age, illness or injury, lack of transportation, or other struggles, Heart of the Nation Catholic Mass on TV and online offers a connection with the Lord Jesus and the community of faith. 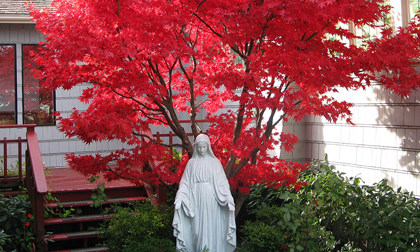 Sacred Heart Radio is your local source for faithful Catholic voices In Seattle, Spokane, Yakima, Kodiak, and Olympia. You’ll find inspiration, education and motivation 24 hours a day. Pray with us, reason with us, laugh and learn with us. We provide national programming from EWTN Radio as well as original, local programming. EWTN provides family friendly programs from a Catholic perspective. EWTN and EWTN Español includes Daily Mass, devotions, Catholic News, powerful documentaries, music, teaching series with noted theologians, live callin shows, young adult & children's programs, and major Papal events. You can visit EWTN online at: www.ewtn.com. The Safe Environment Program assists the Archbishop in coordinating child abuse prevention efforts throughout the archdiocese. 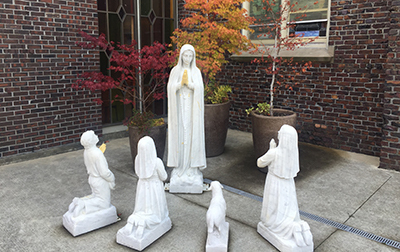 It supports parishes, schools and agencies of the Archdiocese of Seattle with all Safe Environment efforts, including background checks, Safe Environment training and development and implementation of related policies. You don't have to be wealthy to make a significant gift... Visit the Archdiocese's website to learn about creative ways you can support your parish and parish school.